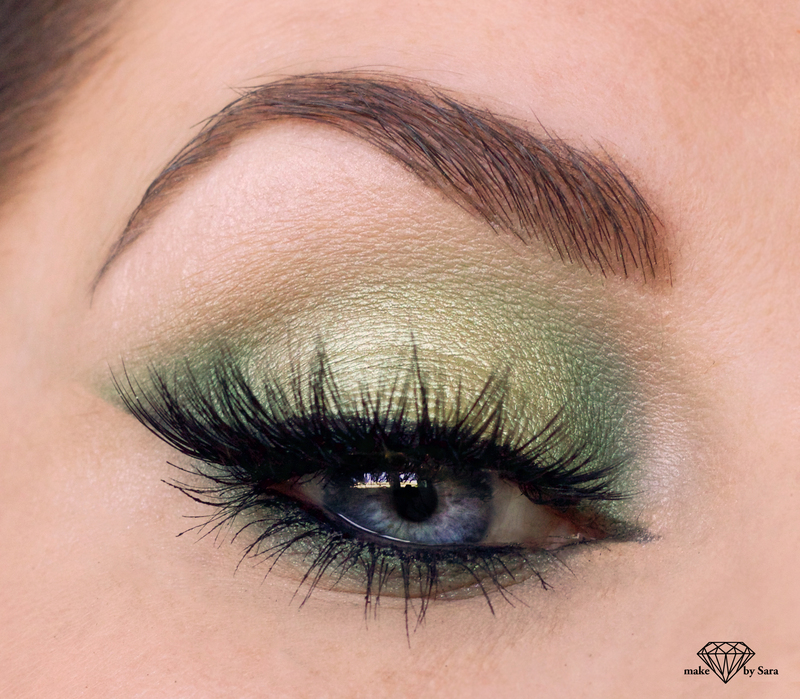 Here I played with some green shadows, sometimes you need to step out of your comfort zone and try something new:-). 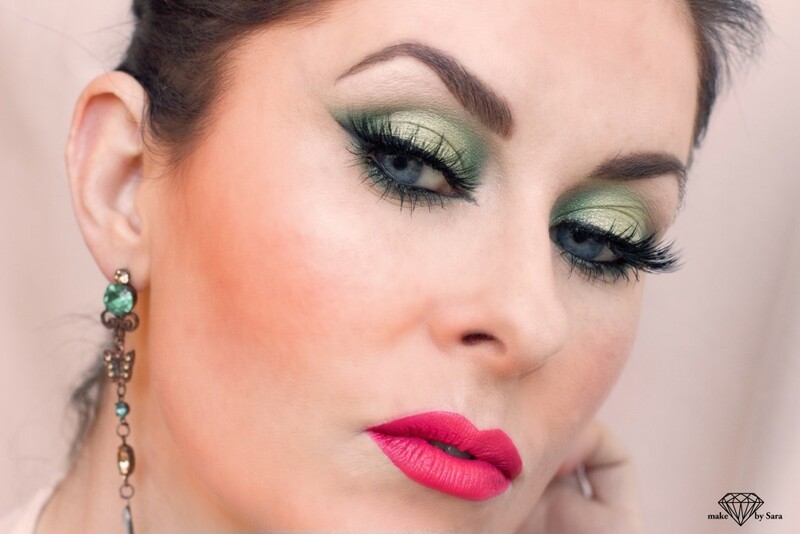 I have used the false eyelashes from House of Lashes in style ”Iconic” that is very popular, they are a little bit big for my small eyes but they look nice on picture:-). When I took these photos it was a very shiny day and I used a little bit wrong settings with my camera:-(. The picture turned out very blue when I looked at them so I had to compensate for this when I edited them, and it was a little bit hard to bring out the original color therefore they look a little bit pale…..okay I am a beautytherapist and I am pale normally but not really as pale as these photos shows. For your info, when I take my photos I have no soft light, no flash, no ringlight, no background…nothing…and it isn´t easy to do this type of close up makeup-pictures without any equipment (a photographer would know). So beware everyone when I can afford to buy some real photo-stuff;-). Hope you like this makeup look . If you want to see more makeuplooks I have created, click here!